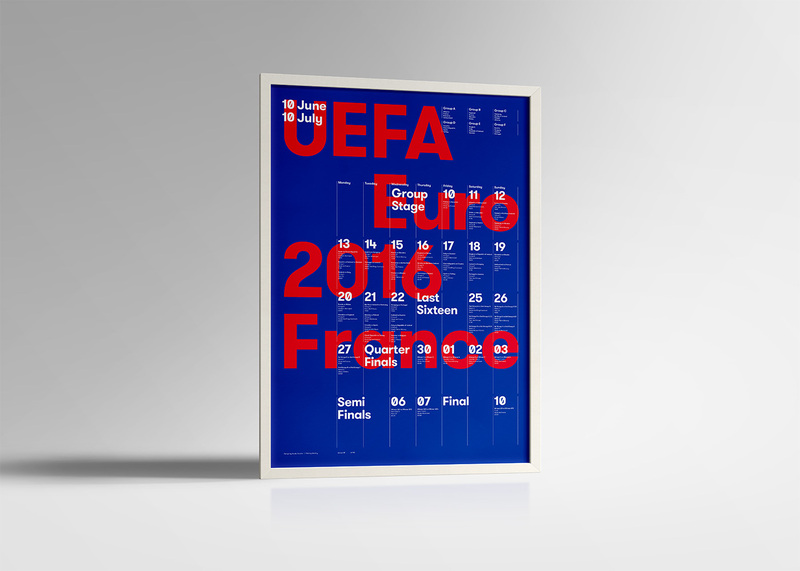 We designed an A1 limited edition poster displaying the schedule of the Euro 2016 tournament matches played in France. 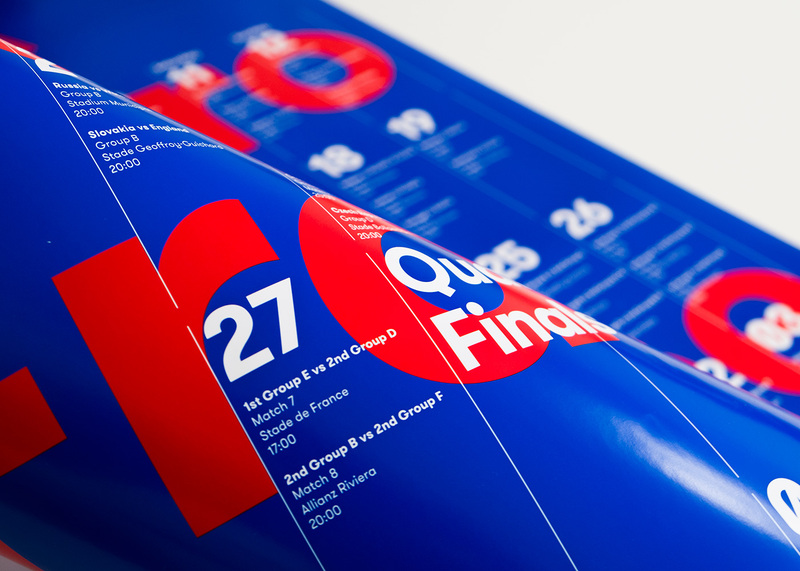 A gloss paper stock was chosen for the vibrant blue and red pantone colours to really stand out. 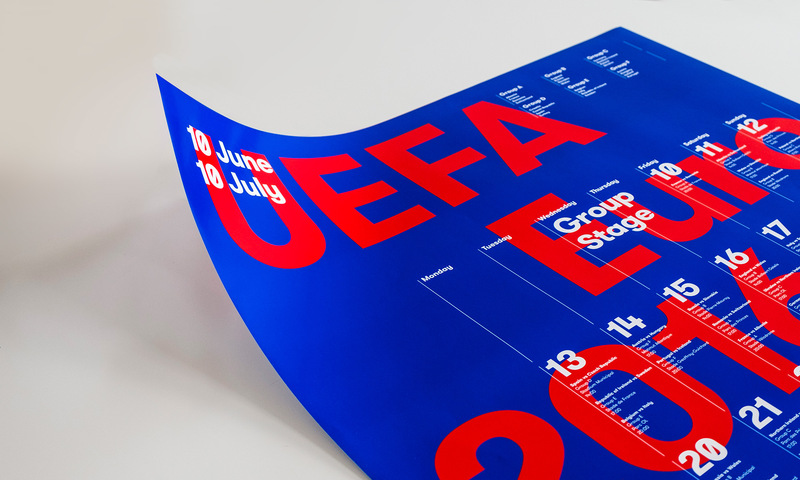 There are only 100 of these posters available, each with a unique number hand written on the print.